Kawaguchi Little League from Kawaguchi, Japan, will be making its second ever trip to Williamsport after winning the 2018 Little League Baseball® Japan Region Tournament. After starting off the tournament with a narrow 2-1 victory over Anjo Little League, the offense for Kawaguchi Little League caught fire as it combined for 43 runs over its next three games, including a 23-2 win over Nagasaki Minami Little League in the championship game to earn its spot in Williamsport and cap off a 4-0 record in the tournament. Kawaguchi Little League only other appearance at the Little League Baseball World Series came in 2006 when it claimed the International Championship title with a win over Matamoros (Mexico) Little League before falling to Columbus (Ga.) Northern Little League, 2-1, in the World Championship. Winners of five of the last eight Little League Baseball World Series tournaments, including the 2017 LLBWS title by Tokyo Kitasuna Little League, teams from Japan are second all-time with 11 total World Series Championships, only behind Chinese Taipei with 17. 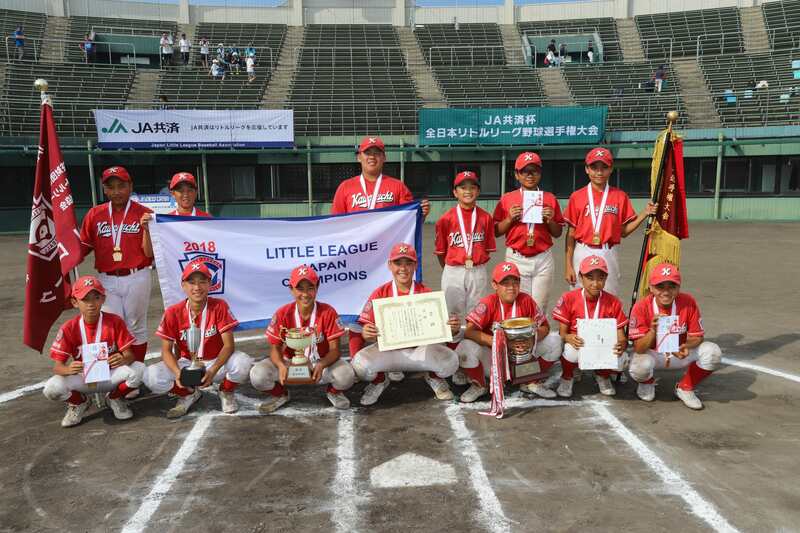 In this year’s Japan Region tournament, defending LLBWS champion Tokyo Kitasuna Little League fell in a heartbreaking 3-2 loss to Nagasaki Minami Little League in the semifinals. Kawaguchi Little League will open the 2018 Little League Baseball World Series with a first-round matchup against the Europe and Africa Region on Friday, August 17, at 2 p.m. in Volunteer Stadium on ESPN. Spanning the course of 10 days, 32 games will be played in the 2018 Little League Baseball World Series in Williamsport, culminating in the Championship Game, which is scheduled for 3 p.m. on Sunday, August 26. For more information on the 2018 Little League Baseball World Series, visit LittleLeague.org.